We have already covered some of the initial launch information confirmed by Telstra, but today the Telstra Exchange provides some information on a progressive launch. Specifically, only the black version of the Nokia Lumia 800 will initially be available come March 13 in Australia. The Lumia 800 will be available at Telstra stores on March 13, and will then progressively become available at regional stores and partners thereafter. 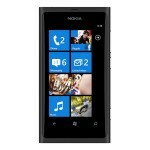 The black version of the Nokia Lumia 800 will be the only one available come launch. As part of the progressive launch, the white version will become available starting March 20. No word on the cyan and magenta colors becoming available. $0 upfront on the $59 Freedom® Connect Plan (after using an included MRO Bonus for eligible customers) – $550 worth of included calls and MMS, unlimited SMS and 1.5GB of data, all to standard Australian numbers (excludes use overseas) each month. Min cost over 24 months is $1,416. Outright RRP of $672. $0 upfront on the $70 Business Mobile Advantage Member plan (after using their MRO bonus) – unlimited standard national SMS and free national voice calls in Australia to eligible mobiles on the same account as well as 1GB of data to use in Australia each month that can be shared between eligible mobiles on the same account while in Australia. Min cost over 24 months is $1680.